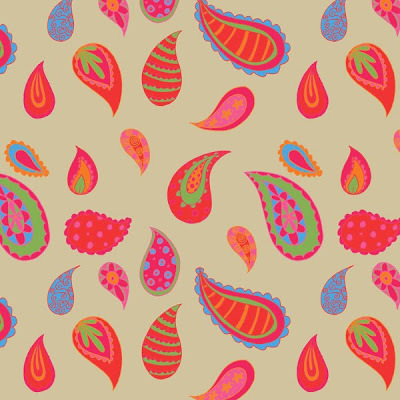 This week's Illustration Friday theme is paisley. I've been meaning to learn how to make a pattern in Photoshop so this was the perfect chance... More patterns to come no doubt! I love the bright, happy colors you've used. Nicely done!